Superdry women’s Sophia skinny jeans. These skinny jeans feature the classic five pocket design, zip fly fastening and belt loops. 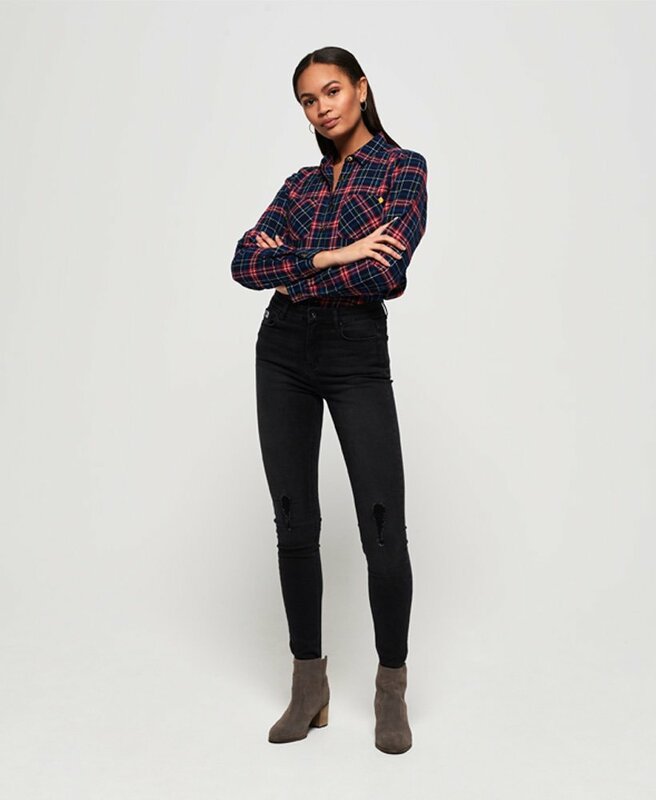 Finished with a Vintage Superdry logo patch on the coin pocket and a leather logo patch on back waistline, the Sophia skinny jeans are a must have update to your denim collection.